Love this classic color combo! 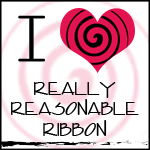 Using Altenew's Hannah Elements [and matching dies] and Label Love for this CAS card. I did ink up a card panel, and then stamped and cut out the image. [I left the leaves blank since green wasn't in the combo ;)]. Your turn! 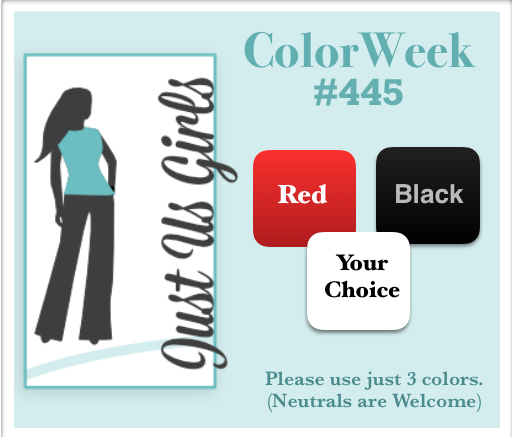 Come on over to Just Us Girls Challenge #445 and play along! Vibrant and gorgeous, Vicki! The leaves left 'as is' certainly adds to the dramatic impact! Beautiful bright red and I love the embossing in black. This is a gorgeous CAS design. BOOM!!!! This has it all - pop, color and an elegantly simple design. Gorgeous card, Vicki. Wow, this has so much impact - I love the leaves like that and the flower is the perfect one for big impact! Gorgeous! Beautiful bold floral image Vicki. Stunning! This is all this card needed! Simply stunning!!! That blazing pop of color is outstanding! Fabulous card Vicki! You can't get much more CAS than this, Vicki, but the colors add such drama. Bold and dramatic! I love the big bloom with that sentiment placement. Perfection!